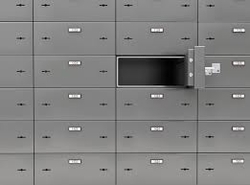 Safety deposit boxes are provided on the basis of rental contracts. Once registered, the client has full private access to their property in the vault room within our working hours. ​ KeepSecure — is the safest place in the UAE to store your most valuable items and documents. We at KeepSecure provide the highest level in security mixed with advanced technology and traditional methods.